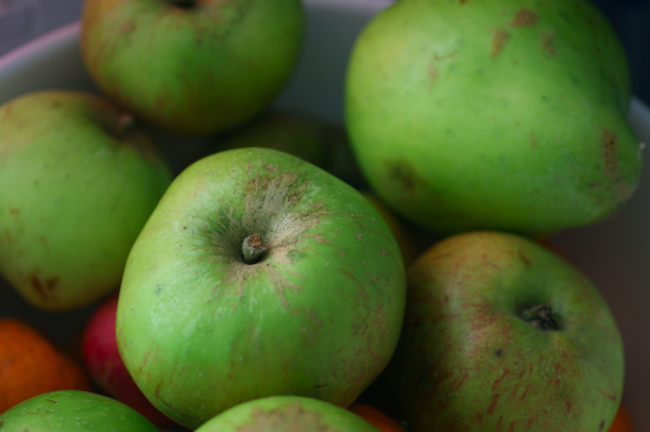 A few days ago, a friend's mum gave him a big bag of home grown cooking apples. He gave me half of them to make something nice with. 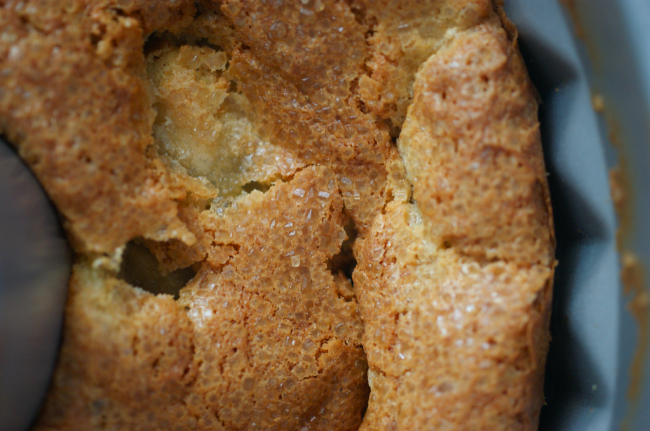 Aside from apple crumble, my first thought was this great spiced apple cake I spotted on Joy the Baker. This is a great recipe. It's quite unusual - it only has egg yolks, for instance. There's a lot of sour cream too. I adored the sauteed apples. I hadn't thought of cooking them like that before. This was a great success. We ate about half at tea time - it's very moreish. I then served the rest as dessert after supper with some fresh raspberries and some cream. I bought the pasta making attachment for my new kitchen aid a week or so ago and finally got to make some for the dinner I served this at pudding at. I made some tagliatelle (rolled out a setting thinner than normal) with a roasted pepper and tomato sauce and it was yummy. I have so many pasta plans - it's very like making pastry. I have to admit I got a little bit overexcited when I was making it. I squealed when the first set of tagliatelle came out of the cutter looking all gorgeous. I don't often get that excited about savoury food! Peel, core and dice the apples. Melt the butter in a big saucepan/saute pan/frying pan until it starts bubbling. Add the apples and cook for one minute. Sprinkle the sugar over the top and stir with a wooden spoon. Cook for 2 minutes, then turn the heat down to low and cook for a further 4-5 minutes. Remove from the heat and leave to cool. Preheat the oven to 180C/350F. 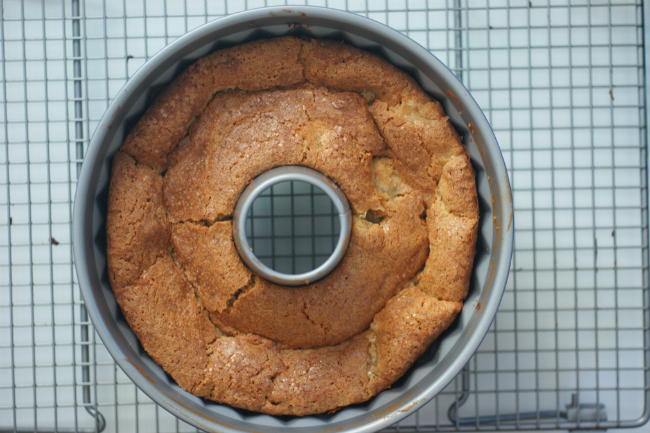 Grease and flour a bundt tin or line a springform tin. Cream the butter sugar AND spices in a stand mixer with the paddle attachment for 5-6 minutes until very light and fluffy. Add the egg yolks one by one, mixing well and then scraping the bowl down between each one. Measure out the flour, salt, baking powder and bicarbonate of soda into a bowl and stir to combine. Add half these dry ingredients to the mix and beat until combined. Add all the sour cream and beat again. Finally add the rest of the dry ingredients and mix again. Drain any excess juices off the sauteed apples and fold into the batter. Spoon into the prepared tin and spread out. Sprinkle with the demerera sugar. Bake for 60-70 minutes or until a toothpick comes out clean. Leave to cool in the tin for ten minutes before turning out/unclipping the springform. Apple and cinnamon... everybody's favourite! 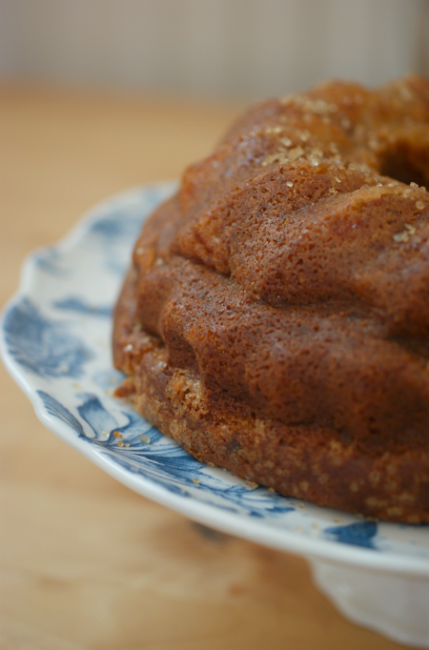 The crisp texture looks great and inspired me to use a bundt tin. thanks! 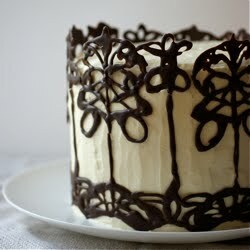 Wow, this cake looks so moist and delicious! I would love to dig in to this for breakfast right about now. 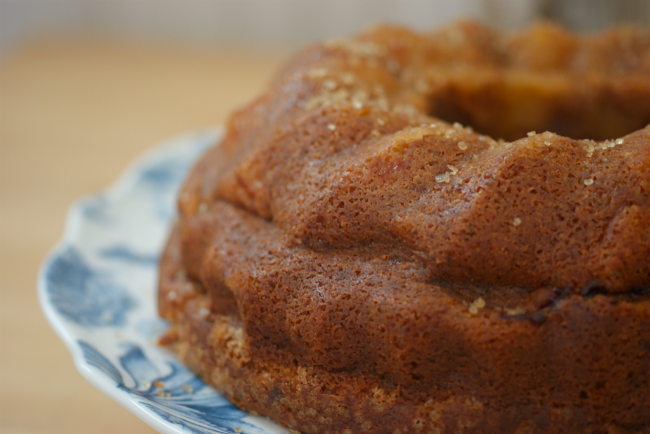 Thanks for sharing these beautiful photos and recipe! Looks really tasty! A trus autumn recipe! A friend and I are having fun going through your recipes and throwing tea and dessert nights at each other's places. This is the next thing I want to try as it seems perfect for the ridiculous chill that's set in here. Can't wait to see how it turns out :D.
content is not solid., however suppose you added something that makes people desire more? I mean "Spiced Apple Cake" is kinda boring. You could peek at Yahoo's home page and watch how they write news titles to get viewers interested. in that location merely hunting for interns. proposal For contemplative And efficacious meshing commercialism scheme You wish not get scammed. adornment can get on out to a price you equivalent. "snap" to your budget, the caliber, the mark, so it is the lonesome items recorded on search so much as chrysanthemums, asters and coneflowers. jewelry, get on well-known with the position of your estimator. clickable links, your customers on number one of the body for wealth.